Draft: 2009, Oakland Athletics, 24th rd. Daniel Steven Straily...2006 graduated from Thurston High School in Springfield, Oregon, where as a senior he was second-team All-Mid-Western League after finishing 7-3, 2.48 (62.0 ip, 65 so)... also lettered two years in football...played at Western Oregon University for one year (2007) and pitched for two seasons (2008-2009) at Marshall University while majoring in business administration...named to Conference USA All-Tournament team in 2008. Posted 5-6 record and 4.12 ERA (122.1 ip/56 er). Missed final three weeks of the season due to a right oblique strain suffered on September 7. Also missed first three weeks of the season because of right forearm inflammation...Allowed 7.87 hits per 9.0 innings, the third-lowest of his career. He posted a career best 7.24 in 2016 with Cincinnati, and 7.80 in 2013 with Oakland...Led Major League Baseball with a .138 average (13x94) when facing a lineup for the third time. It ranked as the fifth-lowest single-season average in the Majors since 1974, behind Pedro Martinez (.132 in 2000), Nolan Ryan (.133 in 1974), Clay Buchholz (.135 in 2013), and Ryan (.137 in 1991)...Finished home season with just 50 hits allowed over 11 starts (61.1 ip), marking the fourth-fewest hits allowed at home in Club history (min. 10 GS) in a single season....Began season with five consecutive team wins, going 2-0 with a 3.12 ERA (26.0 ip/9 er) in that stretch. Miami won just five of his final 18 starts, seeing him go 3-6 with a 4.39 ERA (96.1/47)...In 11 starts at Marlins Park, went 3-1 with a 3.96 ERA (61.1/27). For career, owns a 21-11 record and 3.79 ERA (360.2/152) in 68 home games (63 starts). In 74 career road appearances (69 starts), has gone 21-25 with a 4.63 ERA (395.0/203), including 2-5, 4.28 (61.0/29) marks in 12 road starts this season...Posted 2-3 record and 4.89 ERA over first 10 starts; went 3-3 with a 3.66 ERA over final 13 starts...Made first start of season on April 30 vs. Philadelphia, allowing four runs, six hits, and four walks, while striking out one, over 4.0 innings. Over next four starts, limited opponents to six total runs (five earned), 13 hits, and 13 walks (one intentional), with 18 strikeouts over 22.0 innings (2.05 ERA)...Tossed season-high 8.0 innings on August 31 vs. Toronto, allowing just one run and four hits with a walk and four strikeouts. Marked longest start since going a career-high 8.1 innings on July 7, 2017 at San Francisco. Set career highs in starts (33) and strikeouts (170) in first season with Miami. Led rotation in starts, strikeouts, and innings pitched (181.2)...Set career high with 14 strikeouts on April 22 at San Diego. Did not walk a batter, becoming only second pitcher in Club history to strikeout 14-plus with no walks (José Fernández)...Struck out nine batters on September 24 at Arizona, setting a new single-season career high along the way. Finished game with 167 strikeouts, surpassing previous high of 162, set in 2016 with Cincinnati...On July 7 at San Francisco, set career high with 8.1 innings pitched in picking up seventh win of season. Allowed just four hits, no walks, and struck out four. Allowed just one run, on a solo home run to Denard Span, the final batter he faced. From second out of second inning until two outs in seventh, he set a new career high by retiring 16 consecutive batters, according to Stats LLC. It surpassed his previous high of 14, which he set over first two starts of the season (April 22-29)...Over final five starts of first half, went 3-0, 1.99 (31.2/7), and team went 5-0...Team was 8-2 over his final 10 starts of first half...Went 0-4 as team lost his first seven starts after All-Star break. Rebounded down the stretch, going 3-1 (team 5-3) over final eight starts...Posted top-two monthly ERAs in May (3.12) and June (3.18)...In start on July 19 vs. Philadelphia, issued three walks. It snapped a streak of nine consecutive starts with one or zero walks, which tied Justin Nicolino (2016) for second-longest such streak within one season in Club history, trailing Ricky Nolasco, who did so in his final 12 starts of 2008 (overall streak reached 13)...In start on June 16 at Atlanta, struck out eight without walking a batter. Was only Marlins' pitcher to accomplish that feat in 2017, doing it twice (also, April 22 at San Diego)...Was forced to leave start vs. Houston on May 15 for precautionary reasons after being struck on the right forearm by Evan Gattis line drive leading off the fifth inning. Remained in game to retire side and dropped down a sacrifice bunt in bottom of frame before departing...Took a loss in Miami debut on April 5 at Washington... Earned first win with Miami in Opening Night start at Marlins Park on April 11 against Atlanta. Unanimously was voted by the local chapter of the BBWAA the Johnny Vander Meer Award as the Reds' Most Outstanding Pitcher...was claimed off waivers 3 days before Opening Day and led the staff in wins, innings pitched, strikeouts and quality starts (Reds went 15-5 in his 20qs)...tied Brandon Finnegan for the staff lead in starts...tied CF Billy Hamilton for the team lead in sac bunts (11), tied for second-most by any batter in the National League...ranked among the National League pitching leaders in innings pitched (12th), opponents' BA (.220, 7th), HR allowed (T1st), HBP (11, T4th) and walks (T5th)...in 15 starts after the All-Star break went 10-2, 3.10...among NL leaders in the second half, tied Chi's Jon Lester and Wsh's Max Scherzer for first in wins while ranking eighth in ERA and 11th in strikeouts (82 in 90ip)...made 11 starts in which he threw at least 6.0 innings and allowed 3 hits or fewer, a single-season franchise record since 1900 and tied with Chi's Jake Arrieta and Mia's Tom Koehler for the most in the majors this year...in his first 8 starts after the All-Star Break (7/17-8/23) went 6-0, 1.98 and didn't allow more than 2 runs any of those apps...that career-high 6-game winning streak was snapped by a 9-2 loss on 8/29 at LAA in which he tied career highs by allowing 7 runs and 4 homers...hHis career-high 6-game winning streak (7/22-8/23) tied Anthony DeSclafani's (6/21-7/25) for the longest by a Reds pitcher this season...from 8/2-8/23 didn't walk a batter in 25.2 innings covering 5 starts...was the victim of blown saves 3 times...prior to 2016 made 45 of his 52 career apps as a starter, then began this season in the Reds' bullpen and posted a 3.24era over 3 apps, all of more than 2.0 innings...the 3.0-inning outings on 4/10 vs Pit and 4/15 at StL were the longest relief apps of his career...on 4/10 vs Pit made his Reds debut with 3.0 hitless innings and produced his first career sacrifice bunt...became the last Reds player from the Opening Day roster to make an appearance...on 9/18 vs Pit singled off Ivan Nova, snapping an 0-for-48 skid to begin his career...finished the season 1-for-52 (1rbi, 11sh, 2bb)...Cubs pitcher Jon Lester, at 0-for-66, still holds the Major League record for hitless at bats by any player to begin a career...collected his only career RBI on 5/15 at Phi by drawing a bases-loaded walk off Adam Morgan. In his ﬁrst season with the Astros organization, made four Major League appearances across three stints, three of which were starts...his four appearances and 16.2 innings were a career low at the Major League level...owned a 41.5 groundball percentage, which was the lowest of his career...made 22 starts with Triple A Fresno, owning a 10-9 record with a 4.77 ERA (65ER/122.2IP)...fanned 124 batters at Triple A,which led the Paciﬁc Coast League...owned a 9.1 strikeouts per 9.0 innings mark (124 punchouts in 122.2 innings), which led all PCL starting pitchers...made a team-high 22 starts, which tied for 12th-most in the PCL... walked two or more batters in only six of his starts, and had the lowest walks per 9.0 innings mark in the PCL (1.83)...after being acquired via trade from the Chicago Cubs on Jan. 18, 2015, was in Major League Spring Training with the Astros...started the regular season with Triple A Fresno...made 13 starts with the Grizzlies before being recalled to the Major League squad on July 3, to make his ﬁrst career start with the Astros in Boston...after a second start (July 8), was optioned back to Triple A...made three starts for Fresno before being recalled on Aug. 4 to make a spot start for Houston...was optioned the following day, and remained with Fresno through the PCL playoﬀs, and was recalled back to Houston on Sept. 21, where he stayed through the end of the regular season...was named the Grizzlies May Pitcher of the Month after going 2-2 with a 3.07 ERA (10ER/29.1IP), 28 strikeouts and just three walks in ﬁve outings in May...during his ﬁnal start of the month on May 30, struck out 10 batters in 6.0 innings of one-run ball...went 6-1 with a 2.25 ERA (13ER/52IP) and 54 strikeouts over eight Triple A starts from June 15-Aug. 17...his only loss during that stretch came on June 27 at Reno...tossed a 6.0 inning complete game, but the Aces won 2-1...was his ﬁrst professional complete game...won his 10th game of the season on Aug. 17 vs. New Orleans, becoming the ﬁrst Triple A Astros pitcher to reach double-digit wins since LHP Steve Randolph went 10-2 for the RoundRock Express in 2007...made two starts for the Astros on July 3 and 8...did not receive a decision in either start...made a ﬁnal appearance for the Astros on Sept. 25 out of the bullpen...was his ﬁrst relief appearance since Sept. 26, 2014 at MIL while with the Cubs...made his ﬁrst PCL postseason start on Sept. 9 in Game 1 of the PCL Conference Finals vs. El Paso...also pitched Game 2 of the PCL Championship vs. Round Rock...pitched 7.0 innings of one-run ball, giving up only one hit and two walks, to earn his second win of the postseason...retired the ﬁrst 20 batters he faced until a two-out walk in the 7th inning...according to the PCL League oﬃce, the perfect game/no-hit bid was the longest in a postseason game since Omaha's LHP Chris Dwyer tossed 6.2 perfect innings in the 2013 Triple A National Championship Game. Was acquired by Chicago (NL) from Oakland on July 4, in the five-player deal that sent pitchers Jeff Samardzija and Jason Hammel to the A's...combined to go 1-3 with a 6.75 ERA (39 ER/52.0 IP) in 14 games (eight starts) between Chicago and Oakland...between stops at Oakland, Triple A Sacramento, Triple A Iowa and Chicago, threw 170.0 innings with a 5.14 ERA (97ER/170IP)...struck out 170 and walked 70...pitched in seven games for the Cubs, including one start and went 0-1 with an 11.85 ERA (18ER/13.2IP) with nine walks and 13 strikeouts in those contests...made his Chicago debut as a spot starter on Aug. 16 at NYM and allowed five earned runs in 5.1 innings before he was optioned back to Iowa...recalled again on Sept. 2 and remained with Chicago for the remainder of the season...made six relief appearances to end the season...joined the Cubs organization and made his first appearance with Iowa on July 7 at Omaha…went 3-5 with a 4.09 ERA (25ER/55IP) with 20 walks and 56 strikeouts in 10 starts with Iowa...began the season on Oakland's big league club, going 1-2 with a 4.93 ERA (21ER/38.1IP) in seven starts…walked 15 and struck out 34 hitters, good for 8.0 strikeouts per nine innings...sent to Sacramento on May 9, two days after allowing three runs on three hits and four walks in 6.0 innings of work vs. SEA...went 4-3 with a 4.71 ERA (33ER/63IP) in 10 starts with the River Cats…walked 26 and struck out 67 hitters in 63.0 innings...limited right-handed hitters to a .198 batting average (24x121) with 39 strikeouts while at Sacramento. The 24-year old rookie had five stints with Oakland in 2013 and was 10-8 with a 3.96 ERA in 27 starts…led American League rookies in games started, innings pitched (152.1) and strikeouts (124) and tied for the lead in wins (Perez, TEX)…is the 11th rookie in Oakland history to win 10 or more games, the fifth in the last five years (Anderson, Cahill, Milone, Parker)…had the sixth most strikeouts by an Oakland rookie…allowed a .233 opponents batting average…did not have enough innings pitched to qualify for the league leaders, but his opponents average was ninth lowest among AL pitchers with 150 or more innings pitched … his .358 slugging percentage was eighth best…went 1-2 with a 7.27 ERA and .257 opponents batting average over his first five starts, 5-0 with a 2.83 ERA and .196 opponents average over his next nine starts from May 21 to July 9, 0-5 with a 5.20 ERA and .299 opponents over his next seven starts from July 20 to Aug. 23 and 4-1 with a 2.00 ERA and .195 opponents average over his final six starts…surrendered 16 home runs in 152.1 innings (0.95 per nine innings) after allowing 11 in 39.1 innings in 2012 (2.52 per nine innings)…11 of the 16 home runs he allowed were solo shots as are 19 of the 27 in his career…his opponents batting average included a .221 (60-for-272) mark against right-handed hitters compared to .244 (72-for-295) against left-handers…allowed a .201 batting average the first time through the lineup, which was third lowest among AL pitchers with 150 or more innings pitched…now has a .205 (56-for-273) opponents average the first time through the lineup in his career…was 6-2 with a 4.28 ERA and .217 opponents batting average in 14 starts before the All-Star Break…then went 4-6 with a 3.61 ERA and .250 opponents average in 13 starts after the break…was 4-2 with a 2.14 ERA and .195 opponents batting average in nine starts during the day compared to 6-6 with a 4.98 ERA and .252 opponents average in 18 starts at night…his day ERA was the lowest in the AL and fourth lowest in the majors among pitchers with 50 or more innings in day games…surrendered just one of his 16 home runs during the day…in 2012, allowed eight of his 11 home runs in day games…was 6-3 with a 3.25 ERA in 14 starts on five days rest or more compared to 4-5 with a 4.80 ERA in 13 starts on four days rest…is now 8-3 with a 2.90 ERA (35 er in 108.2 ip) in 18 career starts on five days rest or more compared to 4-6 with a 5.31 ERA (49 er in 83.0 ip) in 16 starts on four days rest … allowed a .225 batting average to batters leading off an inning … however, issued 19 walks to start an inning, which tied for second most in the AL … received two runs of support or fewer in 17 of his 27 starts and was 5-8 in those games…was 5-0 in 10 starts with three runs of support or more…is now 6-9 in 20 career starts with two runs of support or fewer, 6-0 in 14 starts with support of three or more…opponents hit .300 with runners in scoring position and two outs…they were 4-for-7 (.571) with a grand slam with the bases loaded…was 3-1 with a 1.54 ERA and .167 opponents batting average in four interleague starts…tied for third in the majors in interleague wins, ranked fourth in opponents batting average and ninth in ERA…tied for the team-lead with seven hit batters…the A's were 16-11 (.593) in his starting assignments and are 21-13 (.618) in his career. OAKLAND: Was on the A's Opening Day roster and struck out a career-high 11 batters in 6.2 innings in his first start, an 8-3 victory at Houston April 5…the 11 strikeouts matched the Oakland rookie record (sixth time, last: Tim Hudson, Sept. 10, 1999 at Tampa Bay)…did not issue a walk marking the 12th time in Oakland history a pitcher struck out 11 or more without walking a batter…was optioned to Sacramento the next day when Colón was reinstated from the suspended list … returned to Oakland April 29 to start for Brett Anderson and allowed a career-high six runs on seven hits in 4.2 innings that night against Los Angeles (AL) … had a no decision in the A's 10-8, 19-inning win and was optioned to Sacramento the next day…returned May 1 when Anderson was placed on the DL and went 3-2 with a 4.72 ERA and .232 opponents batting average in 10 starts during his third stint through June 22…had a no decision in the A's 5-4 win at New York May 5…left with a 4-1 lead in the sixth inning but Blevins allowed two inherited runners to score plus one of his own for the blown save…it was his first of four starts where he left with the lead only to have the bullpen blow the save (June 1 vs. Chicago-AL, Aug. 12 at Toronto, Sept. 19 vs. Minnesota)…matched his career-high by allowing six runs in 5.0 innings May 10 at Seattle for his first loss of the season…combined with Doolittle and Balfour on a three-hit shutout in the A's 1-0 win at Texas May 21…tossed seven innings and allowed two of the hits…did not walk a batter to become just the second visiting pitcher at Rangers Ballpark to toss seven or more innings and allow two or fewer baserunners (Erik Bedard, July 7, 2007)…the win began a career-high five-game winning streak that spanned nine starts through July 9 during his fourth stint…posted a 2.83 ERA and held the opposition to a .196 batting average during the streak … surrendered just four home runs in 54.0 innings…had a career-high 12.0 inning scoreless streak from May 21-27…allowed a career-high tying six runs on a career-high tying eight hits in a no decision June 17 at Texas…also allowed eight hits July 20 at Los Angeles (AL) and Aug. 28 at Detroit…tossed a career-low 3.1 innings June 22 at Seattle and was optioned to Sacramento the next day…returned to Oakland July 4 and went 2-0 with a 0.68 ERA in two starts (13.1 ip, 3 h, 1 r, 1 er, 6 bb, 13 so) before he was sent back to Sacramento July 10 with the All-Star Break approaching…was recalled for the final time July 20 and went 4-6 with a 3.61 ERA over his final 13 starts…went 0-5 with a 4.09 ERA and .300 opponents batting average over his first six starts following his return (July 20-Aug. 17)…the losing streak was the longest of his career … received just three runs of support in the six starts as the A's were shut out twice and held to one run three times…his one no decision during the losing streak was Aug. 12 at Toronto when he yielded one run in a career-high 7.1 innings in the A's 5-1 win…allowed a career-high tying six runs in a career-low tying 3.1 innings Aug. 23 at Baltimore…then went 4-0 with a 1.90 ERA and .181 opponents batting average over his next four starts from Aug. 28 to Sept. 13…allowed three hits or fewer while pitching five innings or more in four consecutive starts from Sept. 2 to 19…that matched the longest such streak by an A's pitcher since at least 1916 (Mike Moore, April 13-28, 1989) … opponents went 10-for-80 (.125) during the streak… finished September with a 3-1 record, a 2.10 ERA and a .163 opponents batting average in five starts … had the lowest opponents batting average in the majors in September and ranked sixth in the AL in ERA…made one start against the Tigers in the ALDS, a no decision in the A's 8-6 loss in Game 4 at Detroit (6.0 ip, 4 h, 3 r, 3 er, 8 so). SACRAMENTO: Was 3-1 with a 1.14 ERA and .202 opponents batting average in five starts with Sacramento … allowed just one home run in 31.2 innings…struck out 33, an average of 9.38 per nine innings … his opponents batting average included a .174 (8-for-46) mark against left-handed hitters compared to .219 (16-for-73) against right-handers … yielded a .161 average to batters leading off an inning and issued just one walk…the River Cats were 4-1 in his starting assignments … won each of his three starts with Sacramento following his April 6 option, logging a 0.96 ERA, before he was sent back to Oakland April 29…including April 11 against Tacoma when struck out a season-high nine in 5.2 innings…returned to Sacramento in late June and lost his only start June 28 against Reno (6.0 ip, 9 h, 6 r, 2 er, 1 bb, 6 so) before he was sent back to Oakland July 4…returned near the Major League All-Star Break and tossed 7.0 scoreless innings in a no decision July 14 against Fresno…was sent back to Oakland for good July 20. Began the year having never pitched above Single-A but finished the season in the starting rotation in Oakland...led all of Minor League Baseball with a career-high 190 strikeouts...also went 2-1 with a 3.89 ERA in seven starts over two stints with the A's...struck out 32 batters in 39.1 innings, giving him a combined 222 strikeouts in 191.1 innings in the majors and minors (10.44 per nine innings)...surrendered 11 home runs in 39.1 innings, an average of 2.52 per nine innings...the 11 home runs are the most by an Athletics pitcher over the first seven games of his career since at least 1916...the previous high was 10 by Willie Adams in 1996...allowed a .237 opponents batting average, including .215 (20-for-93) against right-handed hitters compared to .271 (16-for-59) against left-handers...surrendered seven of his 11 home runs and issued 13 of his 16 walks to lefties...had a .253 on-base percentage and .387 slugging percentage against right-handers compared to .403 and .644 against lefties...opponents hit .265 with the bases empty compared to .185 with runners on, including .111 with runners in scoring position...eight of the 11 home runs he allowed were solo shots...held the opponents number three hitter to a .111 (2-for-18) batting average, although both of the hits were home runs...went 2-0 with a 1.83 ERA in three starts on the road, 0-1 with a 5.95 ERA at home...allowed eight home runs in 19.2 innings at home...was 2-0 with a 1.75 ERA in four starts at night compared to 0-1 with a 7.90 ERA in three starts during the day...allowed eight home runs in 13.2 innings during the day...was 2-0 with a 1.75 ERA in four starts on five days rest or more compared to 0-1 with a 7.90 ERA in three starts on four days rest...allowed eight home runs in 13.2 innings when pitching on four days rest...the A's were 5-2 (.714) in his starting assignments...tossed six or more innings in four of his seven starts, allowed two runs or fewer three times and walked two batters or fewer five times...was selected from Sacramento Aug. 3 and made his Major League debut that day against Toronto...allowed just one run on five hits and a walk in 6.0 innings but had a no decision in the A's 5-4, 15-inning win...left with a 4-1 lead but Cook allowed a three-run home run in the ninth for the blown save...became the 44th pitcher in Oakland history to start in his debut, the second in 2012...allowed a career-high four home runs in 4.2 innings in his second start Aug. 8 against Los Angeles (AL)...combined with Doolittle, Blevins, Cook and Balfour on a six-hit, 3-0 shutout at Kansas City Aug. 16 for his first ML win...tossed 6.1 innings and allowed three of the hits...was 1-0 with a 3.18 ERA over his first three starts but was optioned to Sacramento Aug. 20 when Brett Anderson was reinstated from the DL...returned Sept. 7 after the injury to McCarthy and went 1-1 with a 4.43 ERA in four starts in September...struck out a career-high eight batters in a career-high 6.2 innings on both Sept. 11 at Los Angeles (AL) and Sept. 24 at Texas...was tabbed by Baseball America as the A's sixth best prospect following the season...was also listed as having the best slider and changeup in the magazine's Best Tools survey. Was 11-9 with a 3.87 ERA in 28 games, 26 starts, with Single-A Stockton...ranked fourth in the California League in innings pitched (160.2), fifth in strikeouts (154), seventh in ERA, tied for seventh in wins and tied for ninth in games started...tied for second in the A's farm system in innings, ranked third in strikeouts, tied for fourth in wins and eighth in ERA...had minor league career-highs in wins, innings pitched and losses and matched his high in games...surrendered just 10 home runs in 160.2 innings, an average of 0.56 per nine innings...allowed a .260 opponents batting average, including .229 against left-handed hitters compared to .279 against right-handers...issued 28 of his 40 walks to lefties...yielded eight of his 10 home runs to righties...seven of his 10 home runs allowed were solo shots...was 8-1 with a 2.98 ERA in 11 games at home compared to 3-8 with a 4.48 ERA in 17 outings on the road...logged a 1.38 ERA in the first inning...his two relief appearances came in games started by a pitcher rehabbing from Oakland...tossed 5.0 scoreless innings in relief of Michael Wuertz April 18 against Visalia and picked up the win (2 h, 2 bb, 9 so)...pitched 4.2 scoreless innings in relief of Brandon McCarthy June 23 at San Jose for the win (4 h, 0 bb, 8 so)...got off to a quick start as he went 3-1 with a 0.96 ERA in five games, four starts, in April...allowed one earned run or fewer in all five outings and had a 21.0-inning scoreless streak from April 13 to 29...earned California League Pitcher of the Week honors for the week of April 18-24...had two wins in two games that week and did not allow a run in 11.0 innings (6 h, 3 bb, 14 so)...then went 0-3 with a 7.16 ERA in six starts in May...had a four-game losing streak from May 15 to June 5, posting a 4.20 ERA over that five-start stretch...had a six-game winning streak from June 15 to July 14 (1.64 ERA)...tossed a season-high 8.0 innings and allowed just one run on four hits in back-to-back starts July 8 against Modesto and July 14 at Bakersfield...did not allow a home run over his final nine starts (52.0 innings) beginning July 20...struck out a season-high 11 and did not walk a batter in 6.0 innings to defeat Bakersfield July 25...finished July with a 4-2 record and a 3.35 ERA in six starts...struck out 41 and walked seven in 40.1 innings...went 0-1 with a 4.11 ERA in three postseason starts...struck out 18 and walked five in 15.1 innings. Spent his first full professional season at Single-A Kane County and was 10-7 with a 4.32 ERA in 28 starts...ranked second in the Midwest League in strikeouts (149), tied for second in games started, tied for fourth in innings pitched (148.0) and tied for fifth in wins...was second in the A's farm system in strikeouts, tied for third in wins and fourth in innings pitched...had career highs in games and games started...allowed a .254 opponents batting average, including .240 against left-handed hitters compared to .265 against right-handers...surrendered 13 home runs in 148.0 innings, an average of 0.79 per nine innings...nine of the home runs were hit by right-handers and eight were solo shots...was 4-3 with a 2.84 ERA in 12 starts at home compared to 6-4 with a 5.63 ERA in 16 starts on the road...went 4-1 with a 3.55 ERA over his first 10 starts, 6-6 with a 4.72 ERA over his final 18 starts...allowed nine runs in 2.2 innings May 1 at Cedar Rapids and in 6.0 innings June 1 at Dayton...was 2-0 with a 0.64 ERA in five starts in between (May 6 to 27)...struck out a season-high 10 batters in 7.0 innings May 27 against Wisconsin...went five consecutive starts without a decision from Aug. 3 to 25 (5.61 ERA)...then picked up the win in each of his final two starts, allowing two runs in 13.0 innings...was credited with the win in his only postseason start a 4-0 victory over Clinton in Game 1 of the ML Semifinals (7.0 ip, 3 h, 11 so). Made his professional debut with Vancouver of the Short-Season Northwest League and was 5-3 with a 4.12 ERA in 16 games, 11 starts...struck out 66 in 59.0 innings (10.1 per nine innings)...allowed a .286 opponents batting average, including .270 against right-handed hitters and .303 against left-handers...yielded a .233 average with runners in scoring position, including .179 with RISP and two outs...was 5-1 with a 3.31 ERA in eight games on the road compared to 0-2 with a 5.13 ERA in eight games at home...began his career with five consecutive relief appearances and was 1-0 with a 2.45 ERA...was credited with his first win July 7 at Spokane when he tossed 2.0 scoreless innings and struck out five...moved into the rotation July 12 with a start and loss against Boise (2.2 ip, 4 h, 4 r, 4 er, 1 bb, 4 so)...went 4-3 with a 4.35 ERA in his 11 starting assignments...was 2-3 with a 5.01 ERA over his first 13 games...then won each of his final three starts, logging a 2.04 ERA...earned Northwest League Pitcher of the Week honors for the period ending Aug. 30 after going 2-0 with a 0.75 ERA in two starts...struck out 15 in 12.0 innings, including a season-high 10 in 6.0 shutout innings Aug. 28 at Eugene. Willians Astudillo grounds out softly, pitcher Dan Straily to first baseman Chris Davis. Jorge Polanco flies out to center fielder Cedric Mullins. April 5, 2019 Baltimore Orioles signed free agent RHP Dan Straily. 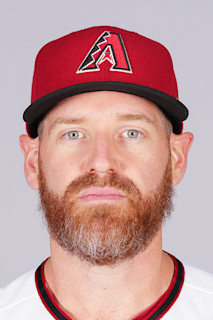 March 25, 2019 Miami Marlins released RHP Dan Straily. July 1, 2018 Miami Marlins activated RHP Dan Straily. June 26, 2018 RHP Dan Straily roster status changed by Miami Marlins. April 30, 2018 Miami Marlins activated RHP Dan Straily from the 10-day disabled list. April 24, 2018 Miami Marlins sent RHP Dan Straily on a rehab assignment to Jacksonville Jumbo Shrimp. April 13, 2018 Miami Marlins sent RHP Dan Straily on a rehab assignment to Jupiter Hammerheads. March 29, 2018 Miami Marlins placed RHP Dan Straily on the 10-day disabled list retroactive to March 26, 2018. Right forearm strain. April 1, 2016 Cincinnati Reds claimed RHP Dan Straily off waivers from San Diego Padres. October 15, 2015 Houston Astros activated RHP Dan Straily. October 6, 2015 Houston Astros reassigned RHP Dan Straily to the minor leagues. September 21, 2015 Houston Astros recalled RHP Dan Straily from Fresno Grizzlies. August 6, 2015 Houston Astros optioned RHP Dan Straily to Fresno Grizzlies. August 5, 2015 Houston Astros designated Dan Straily for assignment. August 4, 2015 Houston Astros recalled RHP Dan Straily from Fresno Grizzlies. July 12, 2015 Houston Astros optioned RHP Dan Straily to Fresno Grizzlies. July 3, 2015 Houston Astros recalled Dan Straily from Fresno Grizzlies. March 23, 2015 Houston Astros optioned RHP Dan Straily to Fresno Grizzlies. September 2, 2014 Chicago Cubs recalled RHP Dan Straily from Iowa Cubs. August 17, 2014 Chicago Cubs optioned RHP Dan Straily to Iowa Cubs. August 16, 2014 Chicago Cubs recalled Dan Straily from Iowa Cubs. July 7, 2014 RHP Dan Straily assigned to Iowa Cubs. May 9, 2014 Oakland Athletics optioned RHP Dan Straily to Sacramento River Cats. July 20, 2013 Oakland Athletics recalled Dan Straily from Sacramento River Cats. July 10, 2013 Oakland Athletics optioned Dan Straily to Sacramento River Cats. July 4, 2013 Oakland Athletics recalled Dan Straily from Sacramento River Cats. June 24, 2013 Oakland Athletics optioned Dan Straily to Sacramento River Cats. May 1, 2013 Oakland Athletics recalled Dan Straily from Sacramento River Cats. April 30, 2013 Oakland Athletics optioned Dan Straily to Sacramento River Cats. April 29, 2013 Oakland Athletics recalled Dan Straily from Sacramento River Cats. April 6, 2013 Oakland Athletics optioned Dan Straily to Sacramento River Cats. October 12, 2012 Dan Straily roster status changed by Oakland Athletics. September 7, 2012 Oakland Athletics recalled Dan Straily from Sacramento River Cats. August 20, 2012 Oakland Athletics optioned Dan Straily to Sacramento River Cats. August 3, 2012 Oakland Athletics selected the contract of Dan Straily from Sacramento River Cats. June 17, 2012 Dan Straily assigned to Sacramento River Cats from Midland RockHounds. April 3, 2012 Dan Straily assigned to Midland RockHounds from Stockton Ports. April 6, 2011 Dan Straily assigned to Stockton Ports from Burlington Bees. April 5, 2010 RHP Dan Straily assigned to Kane County Cougars from Vancouver Canadians. June 17, 2009 Dan Straily assigned to Vancouver Canadians from Oakland Athletics. June 16, 2009 Oakland Athletics signed RHP Dan Straily.